Tamisha, is very special and dear to our hearts. In fact, she was the very inspiration for Blissful Bedrooms and was our first makeover in 2/09. She graduated from a District 75 school for students with multiple handicaps in New York City, in 2007. Tamisha has cerebral palsy, spastic quadriplegia type, which means that it affects all four of her limbs. She is severely disabled and is completely dependent for all activities of daily living. Tamisha has fixed flexion contractures of both her upper and lower extremities, which makes activities of daily living (such as bathing, dressing and toileting) very difficult for her caregivers to carry out. The only voluntary movement she has is of her head – she can shake her head yes and no and turn it from side to side. Tamisha cannot roll, turn, shift her weight or scratch her nose and is basically helpless and at the mercy of her caregivers. She is unable to sit upright even with support and has a spinal rod in place secondary to severe curvature of her spine. As a result, she must have a special wheelchair, which is positioned at a reclining angle of approximately 45 degree and accommodates her fixed contractures. Tamisha is non-verbal and is unable to express herself with language, although her receptive language is excellent and she understands everything. In fact, she is witty, sarcastic and has a great sense of humor. She expresses herself using facial gestures and sounds. Tamisha is cognitively much higher than must people give her credit for based on her physical presentation and she is masterful at reading people and their true intentions. Martha was Tamisha’s physical therapist for several years and they share a very special heart connection. Although Tamisha cannot use words to communicate her needs, feelings and desires, they have a special way of communicating with each other and they are very tapped into each other’s thoughts and emotions. Since her graduation from school, Tamisha has spent almost every day in her apartment. To make matters worse, she currently does not have a wheelchair. 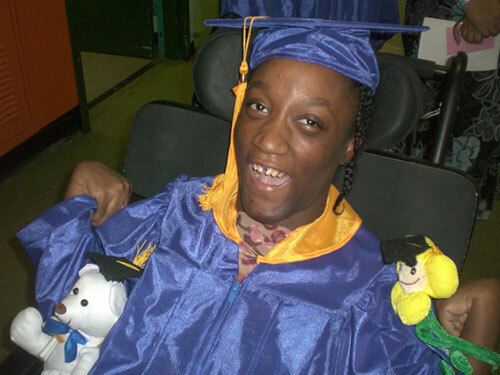 Because of her profound disabilities she has not had success in being accepted into an adult day program in New York City and it is very unlikely that she ever will be. There are only a handful of programs in New York City that can accommodate her profound impairments and the level of care that is necessary. It is very hard for Tamisha to be confined to her home, especially after her many years attending school, where she was mentally stimulated, socially engaged and surrounded by many people, including students and staff, who cared about her. At a loss for resources to help Tamisha, Alex and Martha thought the very least they could do was to make her bedroom a beautiful and happy place, one that reflects her personality and visually stimulates her. Because of her physical posture, Martha affectionately gave her the nickname “Butterfly” several years back. Tamisha loves her special nickname and so Alex and Martha, together with her, decided to make the theme of her bedroom “Butterflies and Rainbows.” In addition, we painted the walls her favorite colors, pink and green. 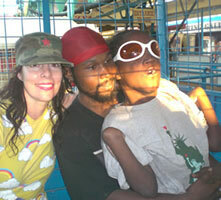 Never did Alex and Martha imagine how much happiness their actions would bring to Tamisha and her family. Even more astounding was the sense of fulfillment they felt. 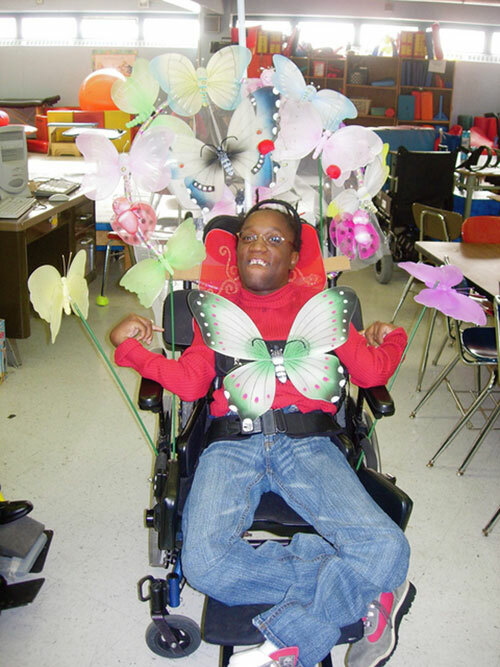 Tamisha is the true Founder of Blissful Bedrooms because it is her beautiful, divine spirit that led Martha and Alex down the path of organizing bedroom makeovers for young individuals with disabilities. For that, they will be forever grateful!